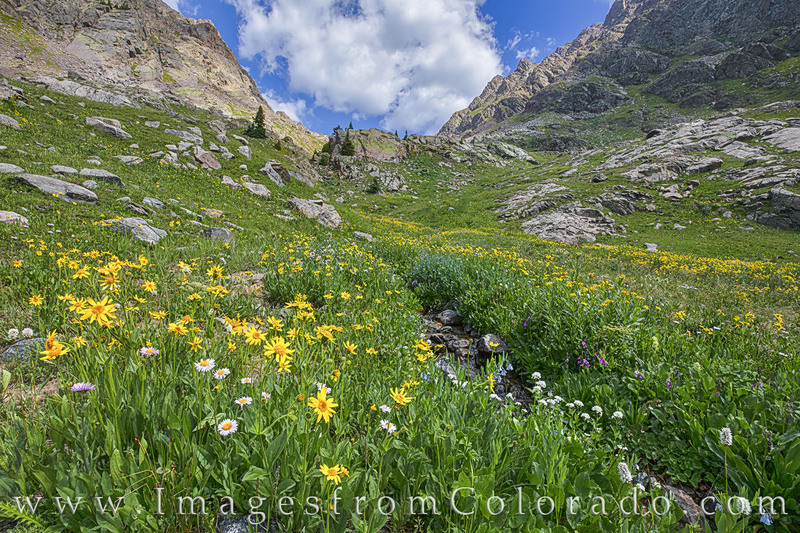 Aspen Sunflowers and Purple Asters line a small stream flowing down from the peaks of Summit County. These wildflowers were found about five miles up the Upper Piney Lake Trail outside of Vail in mid July. Photo © copyright by Rob Greebon.